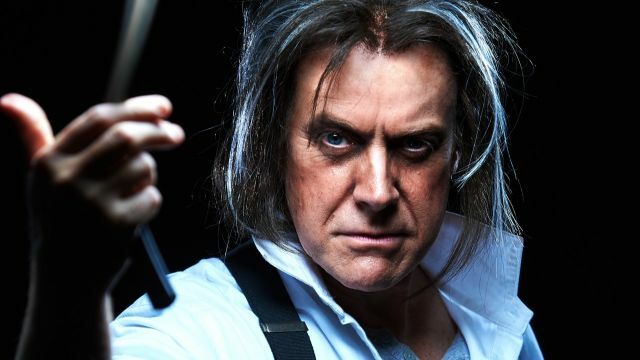 Warlow – Australia’s original Phantom – is set to play the powerhouse ‘demon barber’ Sweeney Todd, while Gina Riley plays landlady and pie-shop owner Mrs. Lovett in a new concert production of Stephen Sondheim and Hugh Wheeler’s 1979 musical masterpiece, playing Sydney and Melbourne in June for six performances only per city. The chance for the Warlow to play the electrifying role is a dream come true. Anthony Warlow made his professional debut in Benjamin Britten’s A Midsummer Night’s Dream in 1980. His career has been rich and varied, including Enjolras in the Australian premiere production of Les Misérables; the title role of the Phantom in the record-breaking The Phantom of the Opera; Archie Craven in The Secret Garden; “Daddy” Warbucks in Annie, in Australia and for his 2013 Broadway debut; and Tevye in Fiddler on the Roof. In 2010, Warlow created the role of Dr Yurii Thiago in the Australian premiere of Doctor Zhivago. In 2015, he starred in Man of La Mancha for the Shakespeare Theatre Company in Washington for which he won the Helen Hayes Award for Outstanding Actor in a Musical. Later that year, Warlow replaced Kelsey Grammar in the Broadway production of Finding Neverland, playing the roles of Charles Frohman and Captain Hook. Gina Riley, playing the tragi-comic role of pie-maker Mrs Lovett, is best known for the hit TV comedy series Kath & Kim. Riley is an accomplished writer, actor, singer, comedian and producer. She recently appeared in Oscar Wilde’s An Ideal Husband for Melbourne Theatre Company. Her musical theatre credits include Matron Mama Morton in Chicago; The Baker’s Wife in Into the Woods; Merrily We Roll Along, Falsettos and the role of Janet in The New Rocky Horror Show. 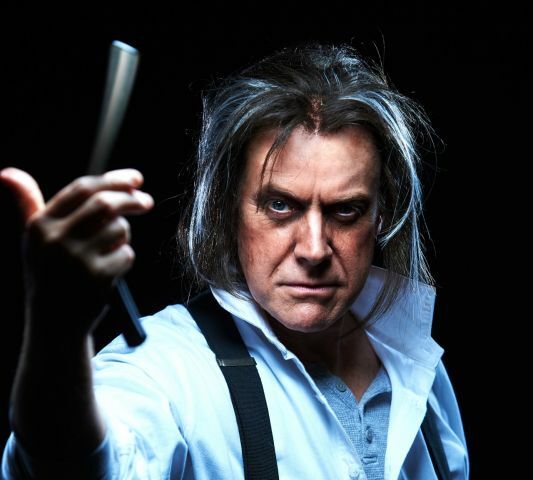 Produced by TEG Life Like Company, known for its productions of The Light in the Piazza, City of Angels and Passion, this brand new staging of Sweeney Todd will reunite the creative team led by Director, Theresa Borg and Musical Director, Vanessa Scammell. TEG Life Like Company comes from a creative partnership that has been built over the course of 20 years. The company continues to grow a unique, independent arts organisation that entertains millions of people each year all over the world, with their productions touring the USA, Middle East, UK, Asia and Europe. Following on from their successful production of Passion in 2014, their Green Room Award-winning production of City of Angels in 2015 and The Light in the Piazza in 2016 at Arts Centre Melbourne, TEG Life Like Company is dedicated to utilising the outstanding talent in Australia to develop and present compelling and rare theatre that will challenge and create discussion, ultimately engaging and moving the audience.